Here are some questions we've been asked over the years. If you have any questions not listed here, email us! We'll answer you, and maybe add your question to this page. I'm just a beginner. What are my chances of winning? The Tabloid Witch Awards was founded with the intent of discovering new horror talent. Yet winners have mostly been film students or those with professional experience. This doesn't mean you don't have a shot. Christopher Alan Broadstone (Best Sound, Honorable Mention, 2005), is a self-taught filmmaker working with a consumer DV camera. Yet he learned his stuff well enough that he beat out some "pros." If your film has good writing and acting, you're already in the upper half of entrants. Many entrants focus solely on the technical, and ignore story and acting -- two critical ingredients. Here are more tips on how to win. We also recommend Horror Film Aesthetics, written by Tabloid Witch Awards founder & director Thomas M. Sipos. This book is about the aesthetics of film (as opposed to the technical stuff). Many self-taught filmmakers ignore aesthetics, concentrating solely on the technical elements. This book is neither "artsy fartsy" nor "dummied down." It's written in an intelligent, yet accessible prose style. It's perfect for smart filmmakers who know how to use a camera (i.e., which buttons do what), but want to learn how to use their cameras creatively. You can also gain some tips about film aesthetics at the Horror Film Aesthetics blog. If you're wondering exactly how many people you're up against this year, you can find the exact number of entries (continuously updated) on the Tabloid Witch blog. Do you ever give feedback, or explain why someone lost? Usually not a good idea. Some disappointed filmmakers might get argumentative upon receiving negative comments. Normally, if you lose, you won't hear from us. You are, of course, welcome to email us and ask why you didn't win. The worst that will happen is (1) your email will be ignored, or (2) you'll get the criticism you asked for. My film isn't really horror. Is it worth entering? Horror is diverse. Quiet, supernatural horror. Grisly, twisted gore. Hitchcockian suspense. Spiritual films with a New Agey element (such as that excellent New Outer Limits episode: "The Conversion"). We want to see all kinds of horror, from a diversity of filmmakers, from around the world. 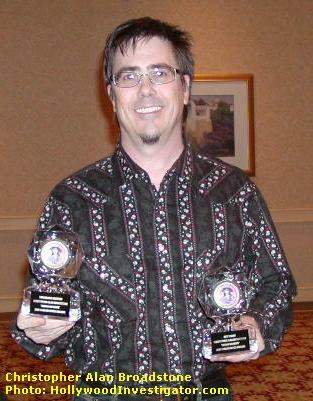 Some of our winners have played at many other horror film festivals. And some have played only at the Tabloid Witch -- because we consider horror films that other festivals ignore. Don't count yourself out! My film isn't finished yet. Can you instead screen my trailer at your festival? No, because we're primarily a contest. That's why it's the Tabloid Witch Awards, not the Tabloid Witch Film Festival. 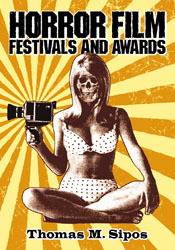 There is usually a festival screening, but the screening is a prize for winning films. Only winners are screened, with a rare "special screening" of other worthy films. How about a No Entry Fee contest for horror screenplays? It takes more effort (and endurance) to suffer through a bad screenplay than a bad movie. So for now, no. Can I enter more than one film? Yes. You can submit as many films as you like. If you enter more than one film per year, they'll compete against each other, but it does increase your chances of winning (assuming they're good films). If my film loses one year, can I re-enter it next year? No. Each film can enter only once. A few films have been entered several times, in different years. But the Tabloid Witch keeps good records and remembers past entries (even if you change the film's title, as some past entrants have done). If you already entered a film and it didn't win, there's no point in entering the same film in another year. Want to learn more about the history and "behind the scenes" at Tabloid Witch Awards? If you want to learn more about the Tabloid Witch Awards -- and dozens of other horror film festivals -- you'll want to read Horror Film Festivals and Awards, written by Tabloid Witch Awards founder and director, Thomas M. Sipos.